TIDBIT was built in 1964 by Herbert Baum to Winthrop L. Warner’s design for Alfred B. Scofield of Stamford, CT, and St. Michaels, MD. She is cedar planked over oak frames with teak trim and laid deck. 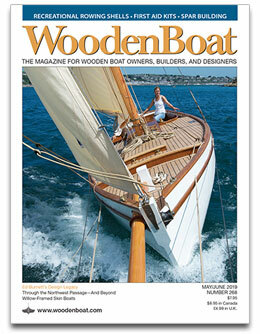 The catboat’s lines appeared in Yachting magazine in April 1964 (p. 74) and reveal very fine waterlines. 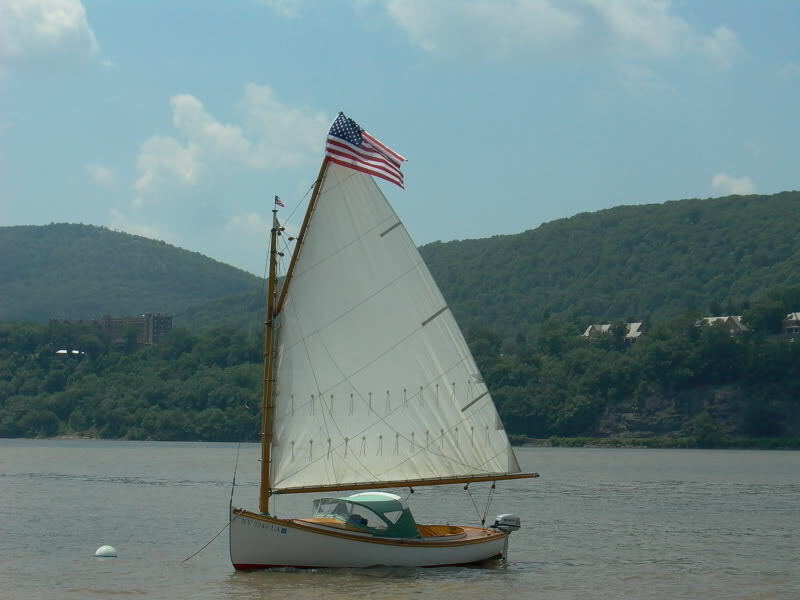 The mast is stepped 6″ or so aft of the typical catboat’s. All this translates to a great sailing boat with much less weather helm than most catboats. Plans can be found in Mystic Seaport’s archives.